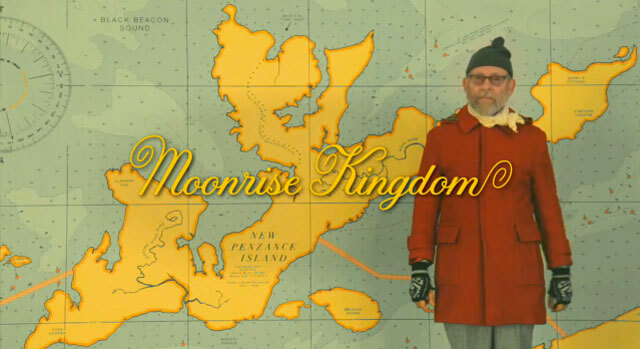 Wes Anderson’s latest movie, Moonrise Kingdom, is in theaters now and I can’t wait to see it. It’s a tale about a pair of 12-year olds that fall in love and flee their New England town, which causes a local search party to fan out and find them. A bit of nostalgia, a bit of adventure and a touch of romance. Wes Anderson might just be the most brilliant film director of our time. To top it off, all of us typography-obsessed creatives are equally looking forward to seeing the beautiful titles and credits created by the ever so talented Jessica Hische. Overall the process was a total dream and Wes is incredibly involved in every aspect of production. When we were in the thick of it, he was sending me doodles through email about how the lowercase r should look, etc. He has a really good eye for typography and is definitely as much of a perfectionist as you’d hope him to be. Also be sure to check out the movie’s interactive website, it’s adorable and highly interactive! I’m STILL dying to see this film and have been thinking about it every day!